For the last couple of summers (2017, 2016, 2015), Diane and I have had a great time going to the Vans Warped Tour in Salt Lake City. This annual tour has allowed us to see a lot of our favorite bands at one time that we probably wouldn’t have been able to see otherwise. That’s why we were saddened to learn earlier this year that this is going to be the last year of the full cross-country tour. 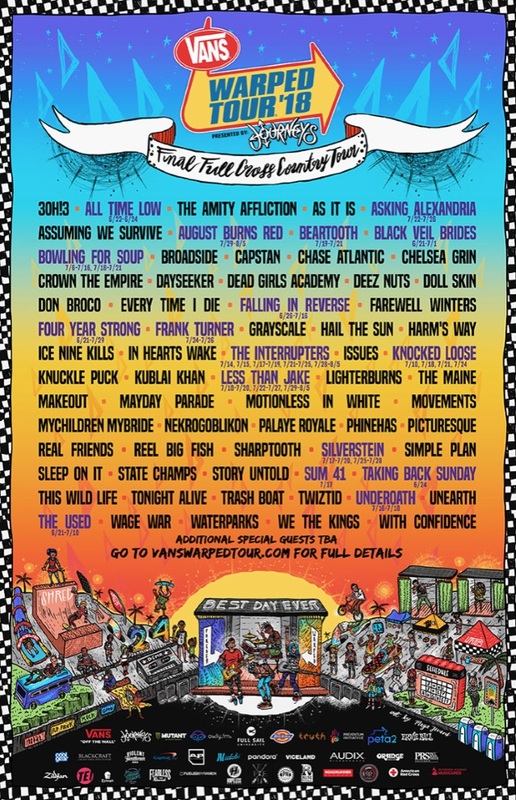 We will definitely be there this afternoon to catch our very last Warped Tour in SLC!